Wed., Sept. 7, 2011, 3:41 p.m.
Watch for updates to this story and for complete coverage in Thursday's edition of The Spokesman-Review. The man accused of planting a bomb along the route of the annual Martin Luther King Jr. Day march acknowledged his guilt this morning as part of a plea deal that could send him to prison for the next three decades. Kevin W. Harpham, 37, pleaded guilty in Spokane’s U.S. District Court to two of the four counts against him. 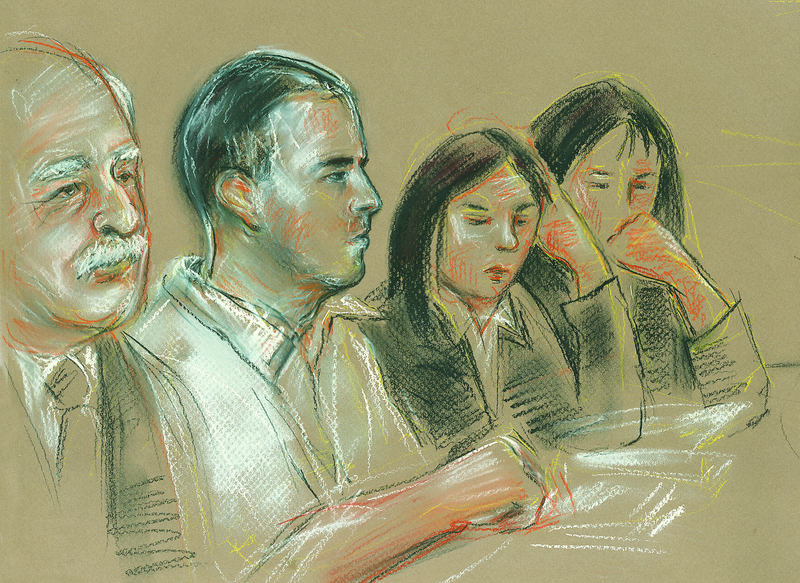 During questioning from Judge Justin Quackenbush, Harpham admitted to making the bomb over the course of about a month and to having racist motives for planting it along the planned route of the annual march, which traditionally draws many ethnic and racial minorities. Authorities believe he acted alone. Federal prosecutors will argue for a 32-year prison sentence. Harpham’s lawyers will push for a 27-year sentence. Quackenbush will have the final say on the deal at a sentencing hearing on Nov. 30. If he recommends a higher or lower sentence, the case still could go to trial. The Stevens County man pleaded guilty to attempting to use a weapon of mass destruction and attempting to cause bodily injury with an explosive device with a racist motive. Two other counts will be be dismissed if Quackenbush accepts the deal. Ormsby said he is satisfied with the sentencing range and noted that under the deal, Harpham would remain on probation for the rest of his life once he leaves prison. He added that he felt the two charges that Harpham pleaded guilty to were the most important. “We had a lot of evidence but trials are risky and you never know what could happen,” Ormsby said. Assistant U.S. Attorney Joe Harrington described the bomb as a 6-inch steel pipe containing about 100 grams of black powder, designed to be ignited by a key fob. Harpham’s DNA was found on the backpack in which the bomb was found, Harrington said. Ormsby said that the bomb was live when it was discovered by temporary workers employed by the Public Facilities District. He said it was unclear why Harpham didn’t set it off, though he noted that the parade route was changed to avoid the area once the suspicious backpack was found. Harpham told the judge he fully understands the plea deal with federal prosecutors, which comes less than a week before his trial was set to begin. The charges that would be dismissed under the deal are using a firearm in relation to a crime of violence, and unauthorized possession of an unregistered explosive device. Harpham’s father, Cecil Harpham, called the ordeal “tragic” but said in a statement that it would be premature for him to comment further until the judge has decided whether to formally accept the plea agreement. The elder Harpham had claimed that his son was with him at his Kettle Falls home the day the bomb was planted. Cecil Harpham currently is recuperating from injuries suffered in a motorcycle accident last month near Cusick, Wash. Published: Sept. 7, 2011, 3:41 p.m. Updated: Sept. 7, 2011, 3:41 p.m.